On April 16, 1963, as the violent events of the Birmingham campaign unfolded in the city’s streets, Dr. Martin Luther King, Jr., composed a letter from his prison cell in response to local religious leaders’ criticism of the campaign. The resulting piece of extraordinary protest writing, “Letter from Birmingham Jail,” was widely circulated and published in numerous periodicals. 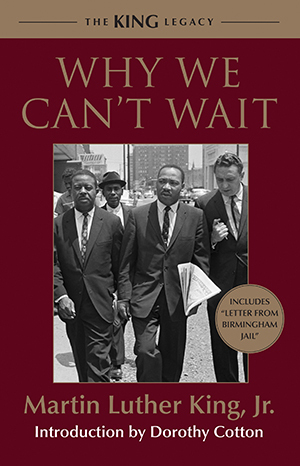 After the conclusion of the campaign and the March on Washington for Jobs and Freedom in 1963, King further developed the ideas introduced in the letter in Why We Can’t Wait, which tells the story of African American activism in the spring and summer of 1963. During this time, Birmingham, Alabama, was perhaps the most racially segregated city in the United States, but the campaign launched by King, Fred Shuttlesworth, and others demonstrated to the world the power of nonviolent direct action.